This entry was posted in Hong Kong Immigration Hong kong Immigration Visa and tagged Hong Kong Hong Kong immigration Immigration on April 11, 2015 by Blog Author. Hong Kong is an ultimate immigration destination for Indians who wish to start their new life in overseas. This prosperous nation referred as a centre of finance of South Asia, and it offers a good standard of living and umpteen number of career and employment prospects. Besides its scenic natural and modern restaurants, that mesmerize the tourists from across the globe, this world-class destination has much to offer to its immigrants. Have any plans for Hong Kong immigration? If yes, know more about its visa options to reside and work in your dream country without any constraints. Why choose Hong Kong immigration? 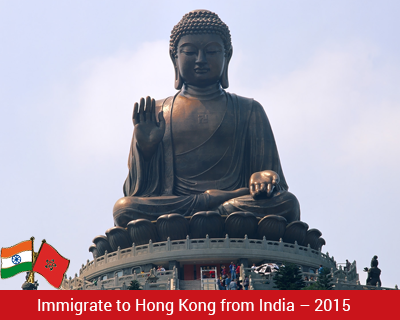 Many Indians pick Hong Kong as their dream destination, due to its nearness and simpler ways to immigrate effortlessly. Immigration and customs processes in this modern country are clear and efficient. There are multiple options available for an overseas applicant aspiring to settle and work in Hong Kong. IANG: This program is beneficial for international students who wish to kick-start their new life in overseas. A fresh graduate planning to immigrate to Hong Kong need not have a job offer, but others need to hold a valid job offer. However, the above immigrants are permitted to reside in the country for one year. QMAS: The Points-based Quality Migrant Admission Scheme is mainly applicable for skilled professionals who possess special skills and abilities and have a wish to settle and work in their occupational premises. Overseas applicants who desire to establish their own business and have an ability to contribute to the country’s economy are also encouraged to make use of this special scheme. GEP: This scheme has been mainly incorporated to fill the vacant positions where the country is currently experiencing the shortage. Be the part of the affluent economics of the country by making use of the major pathways of Hong Kong to immigrate effortlessly. If you are interested to migrate to Hong Kong, fill out our Enquiry Form, so one our visa expert will get back to you.